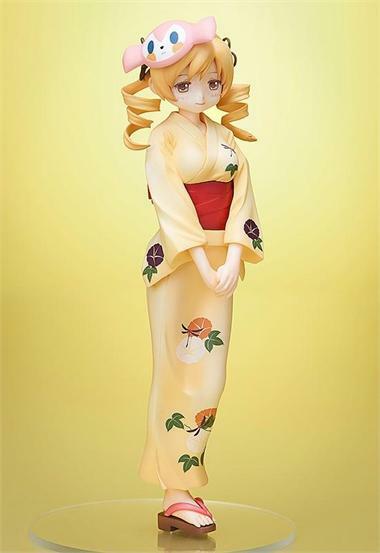 From the popular anime movie, 'Puella Magi Madoka Magica The Movie Rebellion' comes a figure of Mami Tomoe! She is wearing a brightly colored yukata in a gentle most that shows off her more mature side. She also comes with a festival mask of the 'Dessert Witch' which can be attached and removed whenever you like! Yukata versions of both Sayaka Miki and Kyouko Sakura are also in production, so fans can look forward to completing the Puella Magi collection! Preorders are welcome to ship in late April 2015.